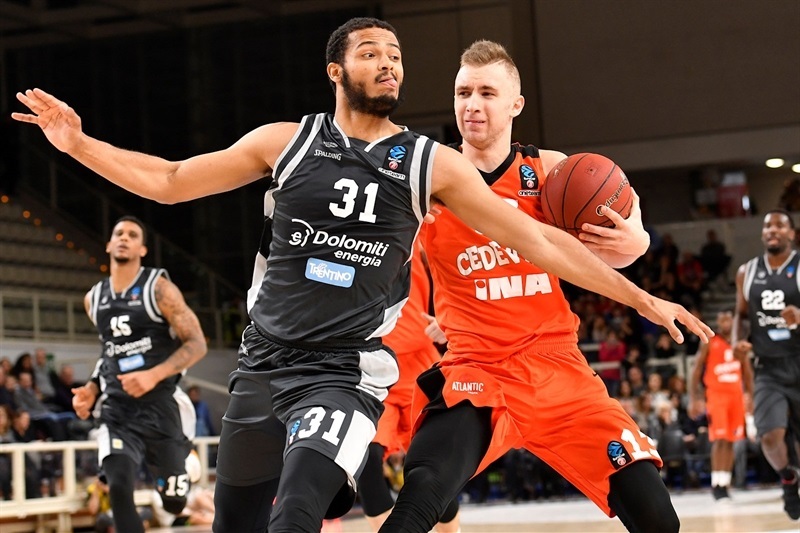 Dolomiti Energia Trento rallied from 18 points down to beat visiting Cedevita Zagreb 83-72 in their Group G opener on Wednesday night. 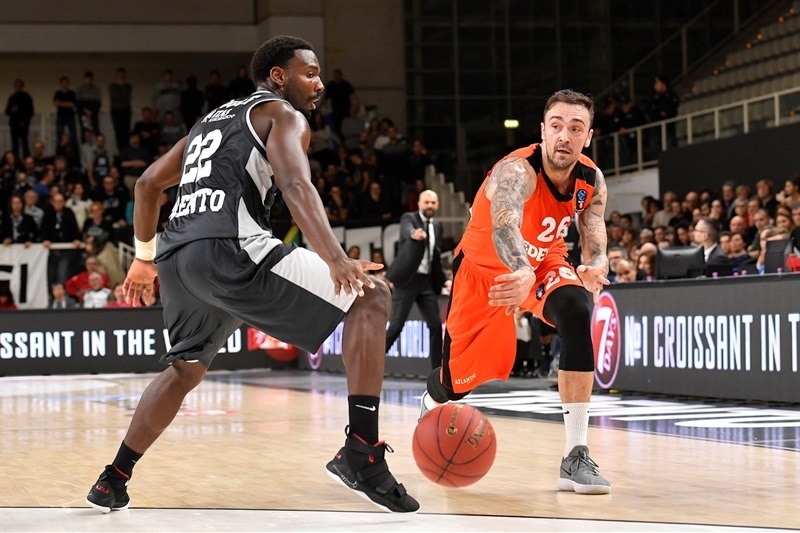 Despite playing without leading scorer Dominique Sutton, Trento overcame a slow start and used two big runs, 11-0 at the end of first and start of the second half and then an 18-2 charge that bridged the third and fourth quarters to turn a 20-38 deficit into a 71-64 lead. 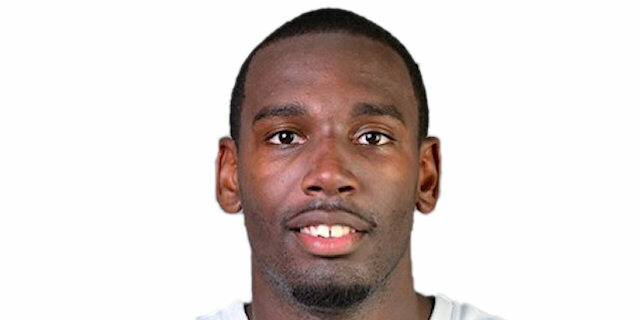 Dustin Hogue carried the team with 27 points on 13-for-16 two-point shooting. 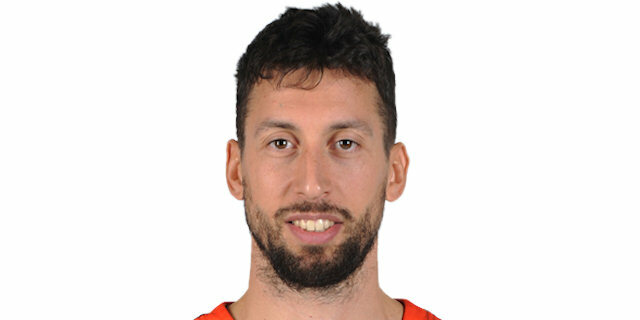 He pulled down 10 rebounds, had 3 assists, 2 steals and 1 block in setting a club record for performance index rating (40) in just his third EuroCup game. Shavon Shields added 17 points, and Jorge Gutierrez scored 13 of his 15 points in the second half and dished 9 assists in victory. 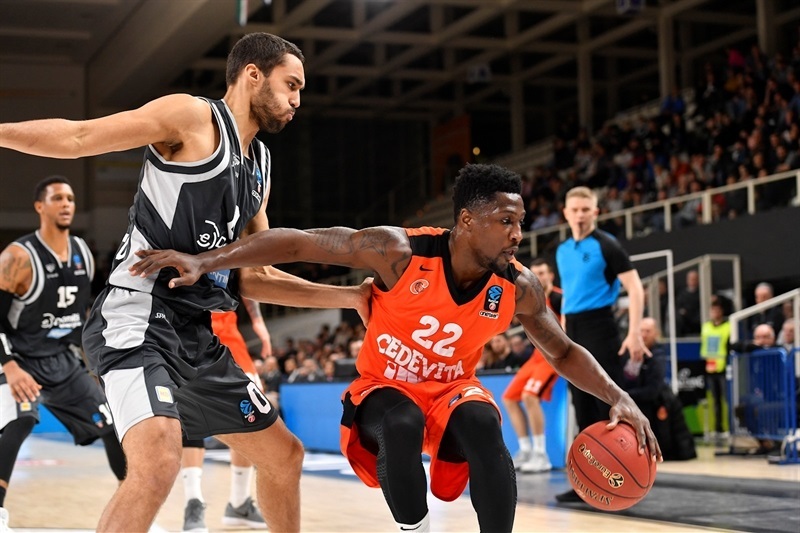 Demetris Nichols and Roko Ukic were Cedevita’s top scorers with 15 points apiece, and Damir Markota chipped in with 12 in the losing effort. 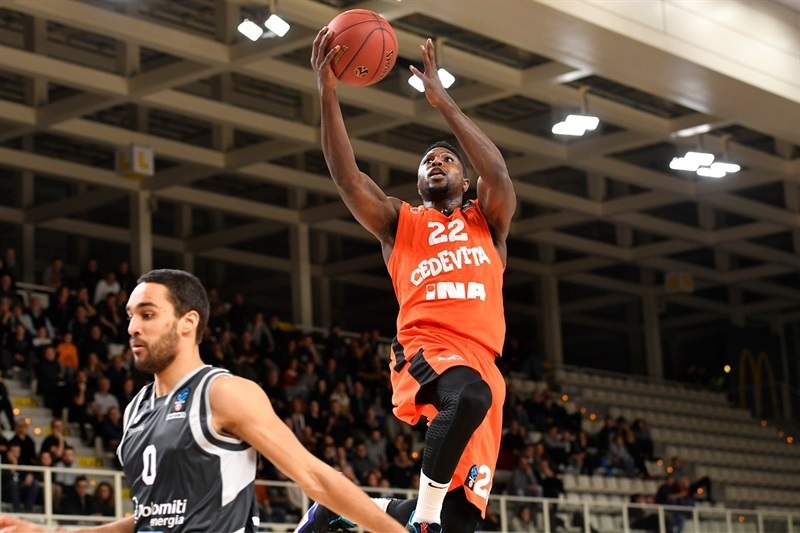 Cedevita’s early 0-8 run, sparked by Kevin Murphy’s three, helped Cedevita take the lead right away. A three-point play from Murphy and a fastbreak layup from Roko Ukic opened a 7-15 lead. 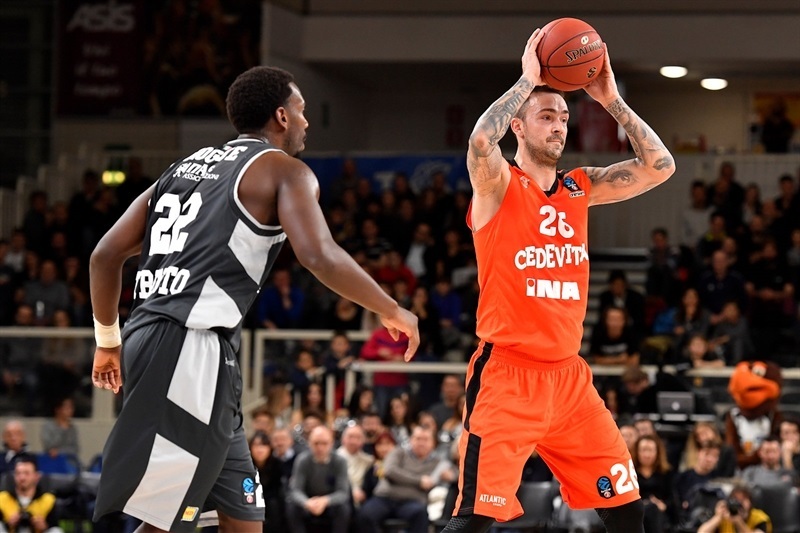 Hogue gave Trento an offensive spark, but a runner from Will Cherry and a three-pointer from Nichols helped Cedevita lead 13-23 after 10 minutes. 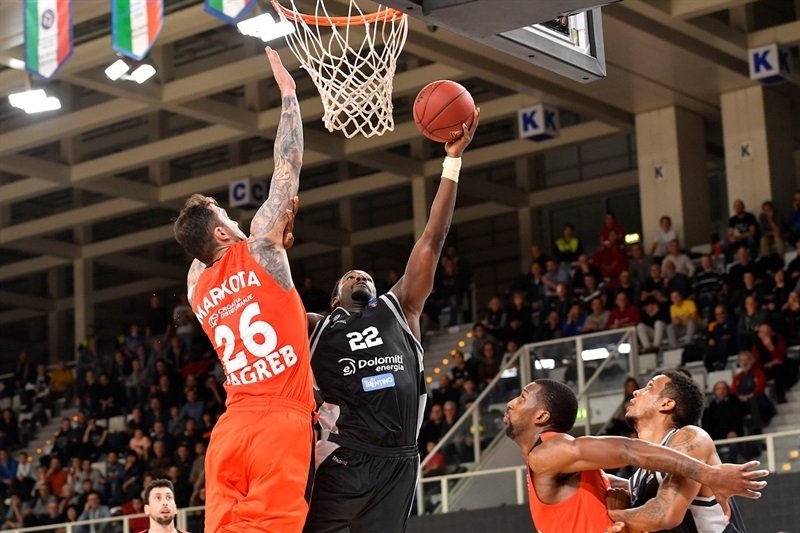 Dunks from Chris Johnson and Dzanan Musa increased the lead to 15-31 early in the second quarter and Ukic’s triple made it 20-38. 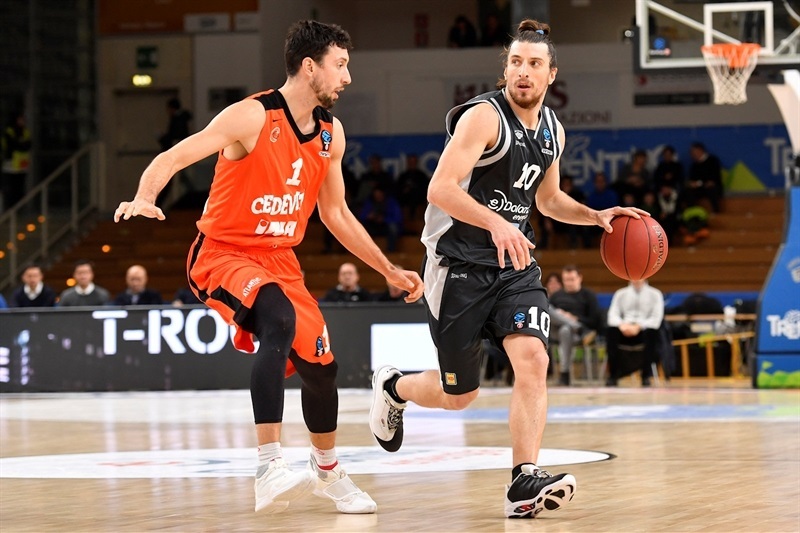 Gutierrez had a runner and Shields nailed a triple as Trento’s more-aggressive defense helped the hosts score the final 7 points of the quarter, capped by a pair of inside baskets from Hogue to make it 31-42 at halftime. 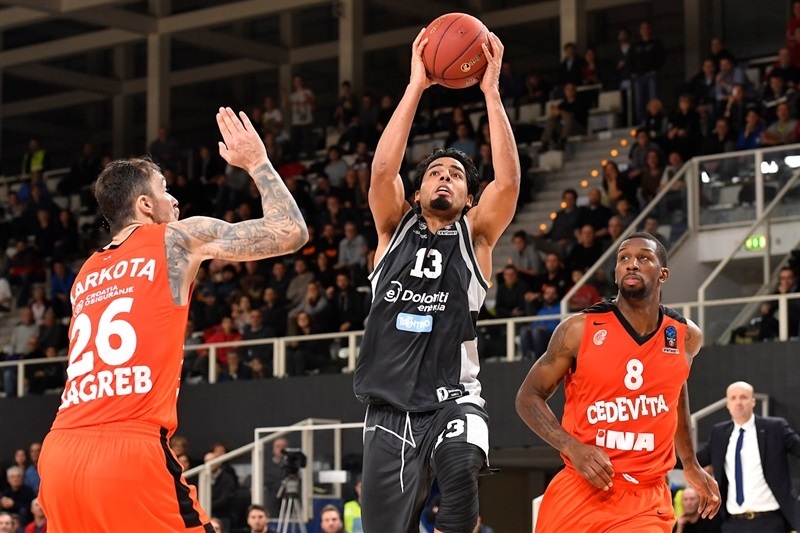 Gutierrez and Hogue continued Trento’s run in the third quarter before Ukic’s floater ended an 11-0 run and snapped a five-minute Cedevita drought without a field goal. Back-to-back threes from Nichols and Ukic extended the margin to 41-52, but briefly, as Shields, Toto Forray and Hogue cut the deficit to 47-52. 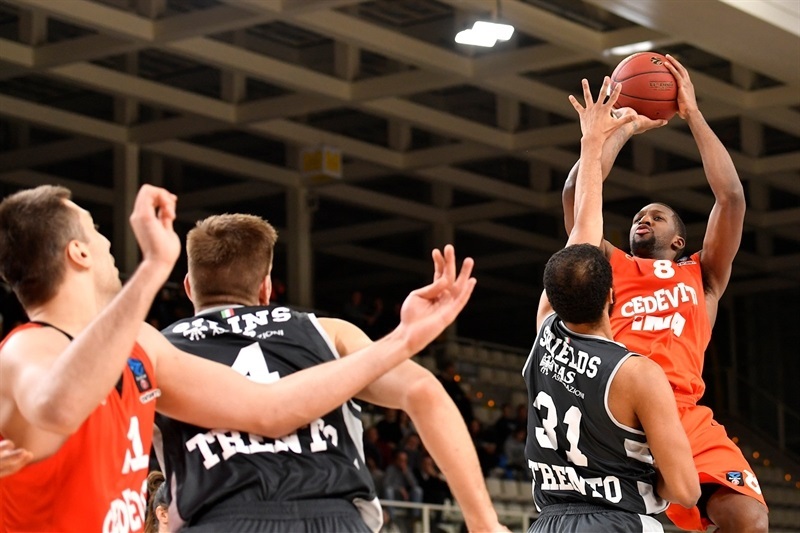 Markota scored from close range and long range to give Cedevita some breathing room, but Beto Gomes beat the end-of-quarter buzzer with a three-pointer that made it 56-62 after 30 minutes. Gutierrez caught fire, and scored 9 points by making jumpers and a triple early in the fourth, and Shields made a runner to cap an 18-2 run and make it 71-64. 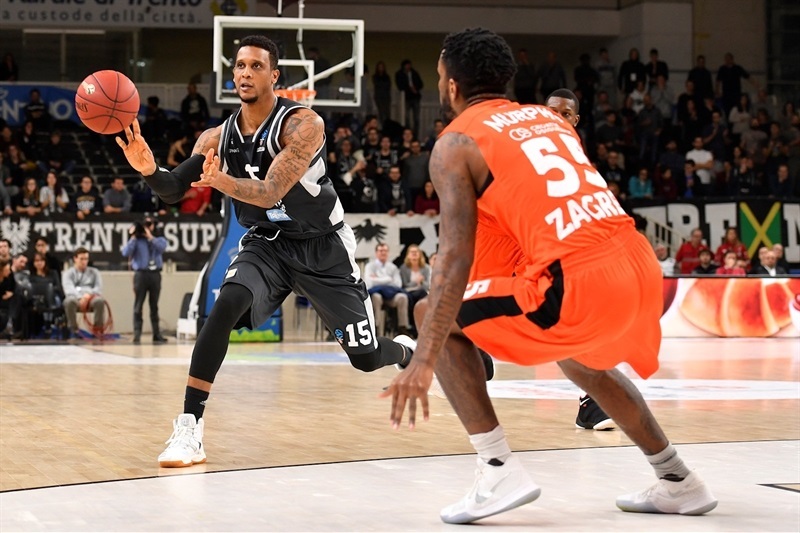 Hogue’s fastbreak basket gave the hosts a 73-65 advantage and after Ukic and Gomes traded triples, Shields put the game away for big celebrations in Trento. "What made the difference in the second half was energy. And, understanding that it was important where to go on offense. We played with rush. We wanted to go to the rim on the first drive, it was important to spread the floor better. And it was very important, we had a bad game, but we have to know how to play when we have a game like that. It is a good win, a very important win." 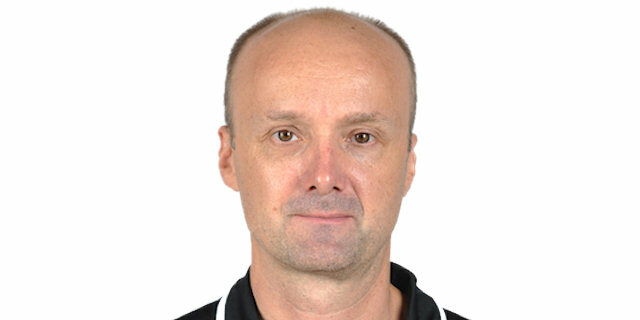 "I expected Trento to react in the second half. We defended their first charge in the third quarter, but later it was like we fell into a hole. You could see they were growing with energy and aggressiveness, and we did not have answers. They made some tough shots, we were not aggressive enough, and on offense too many times we were finishing too fast, and not smart enough. We got the lead too early, it made us dizzy a little bit, and we could not come back later on." "Difference was being aggressive. We did not play defense like we normally do. We are a scrappy defensive team and the first half we were giving them whatever they wanted. At halftime we talked, I got yelled at, and we picked up the intensity." "We played basketball for only 25 minutes. We can’t play like that on the road. In the last quarter they dominated us. Too bad, because we had a nice chance and in the end, we even lost by too many points. But our last quarter was really bad."